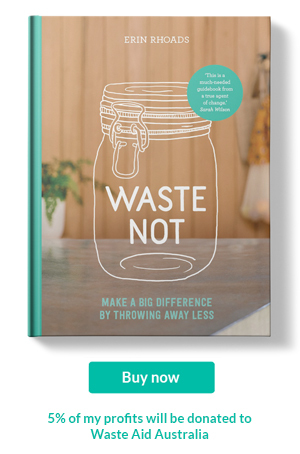 If you are from a rural or regional area, are interested in reducing waste and don’t have a bulk food store near you, this post is for you. 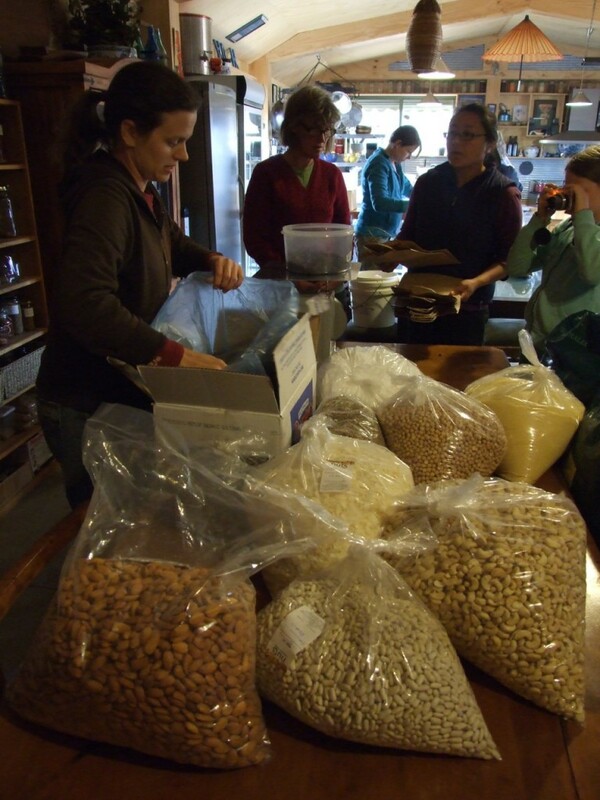 Bulk food stores are the go-to for living plastic free and zero waste lifestyles. These shops are more easily found in cities and less in rural areas. But, location has not stopped passionate individuals coming together in rural areas to reduce their need for over packaged food. This week I am going to share with you different groups, from different areas of Victoria, that have created bulk co-ops. They will explain how they did it, while sharing issues and insights. Interviewing these groups has reminded me, that we as consumers can choose the way we shop. We do have the power. Essentially, a co-op is a group of people who voluntarily work together through a fairly run business. Today I have BEAM Bulk Food Scheme, from Seymour in Northern Victoria (about 1 hour north of Melbourne), explaining how a bulk food co-op works. What is the BEAM Bulk Food Scheme? How long has it been in operation? Why was it started? 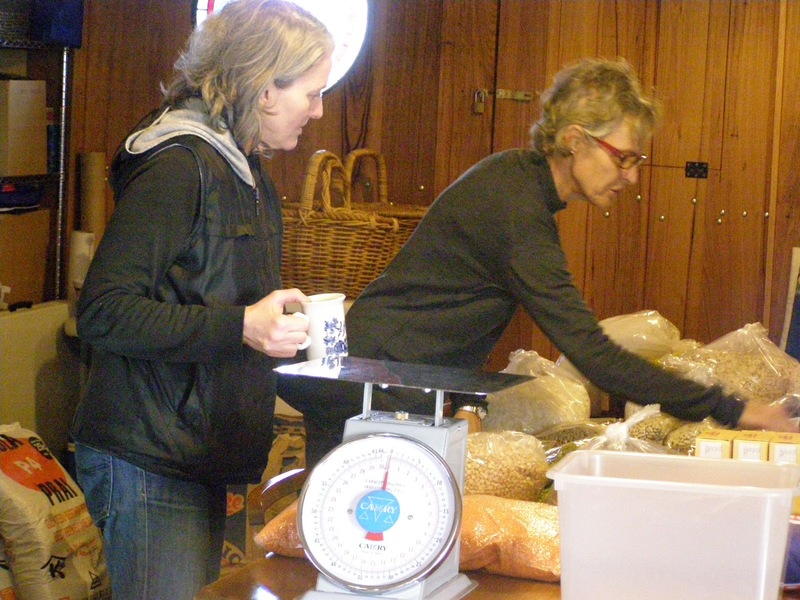 The BEAM Bulk Food Scheme (BBFS) commenced in 2013 at the instigation of a group of members of BEAM Mitchell Environment Group, all with an interest in sourcing local, ethically produced and organic/biodynamic foods; avoiding the big supermarkets; and reducing packaging/waste. The Scheme was one of two ‘projects’ identified at a special meeting of about 15 BEAM committee and general members held in October 2012. The meeting was inspired by the AGM presentation by David Holmgren which highlighted issues of food security within the context of climate change and peak oil, and focussed on the importance of sourcing locally grown and produced food. Initially the scheme ran for a 12 month trial, which aimed to explore the various systems on offer for ordering and purchasing, and identify the level of interest in the community. Issues such as insurance coverage for participants were also explored during this period. At the end of the 12 months, a report was presented to the committee of BEAM, recommending that the scheme continue and identifying how BEAM could support an ongoing scheme. BEAM continues to auspice and support the scheme, in conjunction with the food eXchange. The Scheme administrator, Cynthia Lim from the food eXchange, put a lot of effort in the first 12 months to developing relationships with mostly Victorian food producers, so we can obtain food directly from them and bypass wholesalers. Suppliers include Broken River Ingredients, which produce flours and puffed grain products in Benalla; Burrum Biodynamics, which produce BD legumes in NW Victoria; and Powlett Hill which produces BD spelt pasta in Western Victoria near Ballarat. We also obtain olive oil from Seymour, where the BBFS is based, honey from nearby Broadford and eggs from a local free range farm. Other goods are sourced from a foods wholesaler in Melbourne. Orders are made quarterly, with members completing an Excel spreadsheet developed by the administrator. Following collation of individual orders, and ordering of the goods, invoices are sent out to all participants and must be pre-paid prior to the goods arriving. There is a four week turnaround from orders opening to order collection, with 2 weeks to submit order forms, and 2 weeks to order in the goods. Freight charges are calculated according to the amount of the order, and a levy is paid by all participants to ensure the scheme is successful and ongoing. Order dividing up/collection day is a joint effort, with all participants expected to be involved. Those who can't help out on the day pay a higher levy on their order. Over time we have refined our systems so that dividing up day runs as smoothly as possible. This includes printed copies of all orders, setting up a number of weighing stations, and a dedicated person crossing off the lists as the orders are filled. Yes, this is an essential part of the scheme. Everyone supplies their own containers or bags, even if they can't attend on dividing up day- it's their responsibility to ensure they are ready on the day. Of course it's sometimes hard to judge how many or what size containers you need but our participants are always willing to help each other out by sharing containers or bags. We get approx 12-15 orders per quarter. Some of these orders are from groups of people eg families who live close by, and so can be very large. We try to respond to members requests for new items, but we maintain a commitment to buying local or Australian products first and foremost, then organic/BD if possible. How many people work or volunteer to run the the food scheme? We have one paid administrator, and two other people involved in the BBFS committee to assist with identifying new products and; contacting suppliers, maintaining the BBFS facebook page, updating the BEAM website, and generally advertising the scheme throughout the area. All participants are expected to help out with dividing up day wherever possible. We would suggest starting with a meeting of interested people, to explore ideas and gauge the priorities of the people who will be buying from the scheme. Is your first priority eliminating/reducing packaging, or do you want to access all organic products? Do you have the space and capacity to order in true bulk or will you just be bulk buying small packets? Is there commitment from participants to be hands on and help reduce costs? Or are people willing to pay more for the convenience of having the products packed for them? Other questions to think about are, how often can the orders be made? How easily can you access goods eg is there a courier able to collect and deliver the goods for a reasonable price? The main issues we dealt with in the first year were cash flow issues and questions around insurance coverage- for both the dividing up day (we lift a lot of heavy bags!) and to cover faulty/spoilt products. At the end of the first year we requested that BEAM dedicate an amount of money to a cash float and $2000 was allocated for the purpose. This allows us to pay suppliers prior to invoicing participants, which has helped avoid unnecessary refunds when suppliers are unable to supply a product that was ordered. By sticking to non-perishable foods and products we are able to provide insurance coverage to the scheme through BEAM's insurance. We hope to provide access to more local foods and support more producers and suppliers throughout Victoria. We are also keen to help other towns/areas/groups set up their own bulk buying schemes. If someone is interested in shopping with BEAM Bulk Food Scheme, what do they need to know? The best place to start is the BEAM website, where we have posted heaps of useful information about how the scheme works and how to prepare for bulk ordering. We also post the quarterly order form on this page. The BEAM Bulk Food Scheme facebook page also keeps people updated. For further information, people can contact the administrator Cynthia Lim on exchangefood@gmail.com. I hope you enjoyed this interview with the crew from BEAM Bulk Food Scheme. I have another insight into rural bulk food co-op's from Warrnambool coming up too. 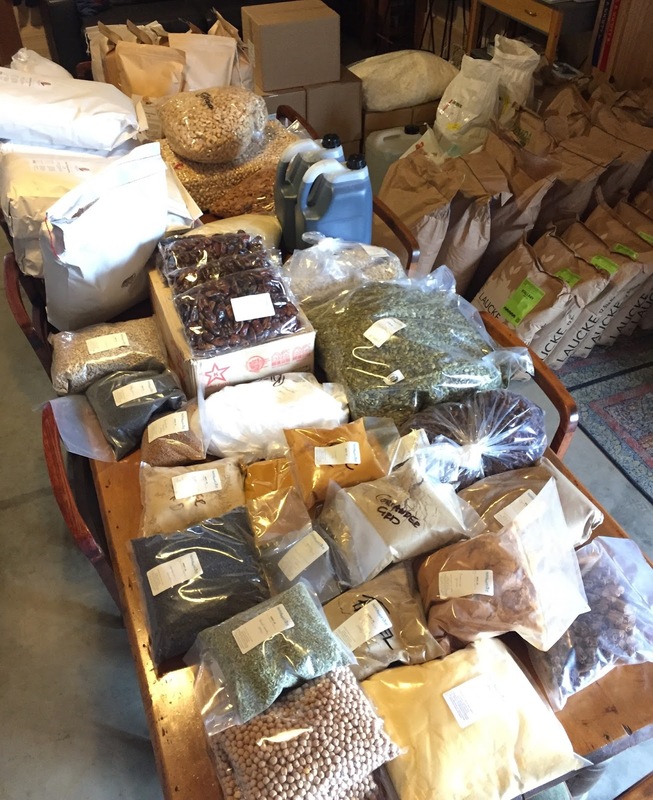 If you know of another bulk co-op from rural Victoria, please let me know, as I'd love to feature them on the blog and show that bulk shopping is not just for us city folk.